Toronto, ON – The Canadian Hockey League today announced the Week 26 and final edition of the CHL Top-10 Rankings for the 2016-17 season. The weekly rankings of the CHL’s Top-10 teams are selected by a panel of National Hockey League scouts. The Regina Pats have returned to their roost atop the CHL Top 10. 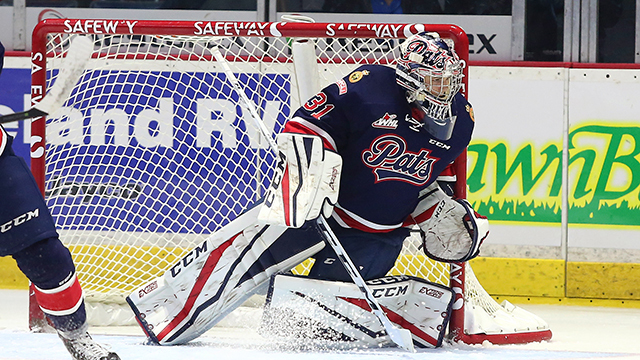 Closing out the regular season with eight consecutive victories to stake their claim to the Scotty Munro Memorial Trophy as WHL Regular Season Champions, the Pats will face the Calgary Hitmen in the opening round of the 2017 WHL Playoffs. Game 1 is scheduled for Friday at the Brandt Centre in Regina. The Medicine Hat Tigers finish the campaign ranked seventh in the CHL Top 10. The Tigers won eight of their final 10 games to close the regular season and claim the Central Division title. Medicine Hat will take on the defending Ed Chynoweth Cup-champion Brandon Wheat Kings to begin the 2017 WHL Playoffs. Game 1 is scheduled for Friday at the Canalta Centre in Medicine Hat. The Everett Silvertips wrap up the season by moving back into the CHL Top 10, landing in ninth. The Silvertips went 6-2-1-1 down the stretch to fend off the Seattle Thunderbirds and earn the U.S. Division title. Everett will face the Victoria Royals to open the 2017 WHL Playoffs. Game 1 is scheduled for Friday at the XFINITY Arena in Everett. Rounding out WHL representation in the final edition of the CHL Top 10 is the Seattle Thunderbirds with an honourable mention. WOWEE! # 1 Now and knocked out by Round 2.. Go Wheaties Go !. Haha. Coming from the fan of a team that got their lunch handed to them last weekend during the home and home. Not to mention the pats rolling all 4 lines while doing so. Feel free to drive 3 hours west and watch a real hockey team. Go Pats. What happened to Moose Jaw? Not in the top 10 and no honourable mention. A mistake must have taken place. Regina is a very strong team. Fast with skill. They deserved the #1 CHL ranking and could win the WHL, and maybe more. It is nicely to see the Pat's return to prominence after far too many years of mediocrity through the Parker family's reign of error. 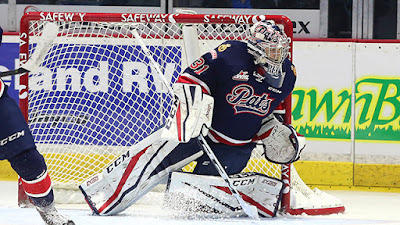 But, with all due respect, please do not forget that as good as they are, this year's Pats team is not as good overall as the WHL champion Wheat Kings were last year. Yes, Steel and Brooks are a scoring machine and others such as Hibbs on D are great players, but Regina's roster simply does not compare to a team who had Patrick, Hawryluk, Quennville, Duke, McGawley, Provolov and Clague to me a few. So, keep it in perspective, but understandably, enjoy the playoffs as they are right around the corner.